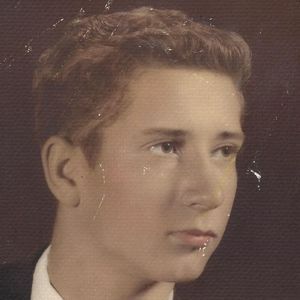 OWENSBORO – Carl Wayne Pate, 68, of Owensboro, died Friday April 25, 2014 at his residence. He was born September 9, 1945 in Island, Ky., was a retired coal miner and a member of the Island Baptist Church and former member of the Martwick Baptist Church. He is preceded in death by his brothers, Wendell and Lavon Pate. Survivors include his wife, Carolyn Pate of Owensboro, a son Brandon Pate of Owensboro, grandchildren, Cloei Pate and Starr Latham and two sisters, Beverly McRoy of Owensboro and Lyvette Capps of Murfreesboro, TN. Funeral services will be held, Tuesday April 29, 2014 at 1:00 PM at Tucker Funeral Home in Central City, conducted by Bro. Greg Dowdy with burial to follow in the Fairmount Cemetery in Central City. Visitation will be Tuesday after 10:00 AM at the funeral home. The beautiful and interactive Eternal Tribute tells Carl 's life story the way it deserves to be told in words, pictures and video. Sue & Brandon, I am so sorry about Carl. I am also sorry that I could not be there, I have to stay with Faye, all of the time, Faye had an accident two years ago and is still in a wheel chair. I have always thought of all of you even though we lost track of where you had moved to. We would like to hear from you when you can please get in touch with us our email should be on this and our phone is 270-476-3099. Again I am sorry that I could not be there our prayers are with you.